The Gino Watkins Memorial Fund, under the joint trusteeship of the University of Cambridge and the Royal Geographical Society, gives grants towards expeditions that meet its objectives of guiding and inspiring enterprising young people towards scientific research and exploration in the polar regions. The Fund is grateful to the Augustine Courtauld Trust for its continuing financial support. The improvement and diffusion of knowledge of polar regions. The acquisition of the special knowledge necessary for polar exploration and to prevent accidents and loss of life. To do so, the Fund provides approval and grants in aid to well-conceived polar expeditions. Each year the Fund helps appropriate expeditions to visit not only Greenland and other high Arctic lands, but also the Antarctic. Ventures to Iceland in the summer and to Norway are not usually awarded grants. To assess the quality of proposals the Fund has a committee of experienced polar explorers and scientists. They evaluate plans submitted for scientific and educational merit as well as logistical soundness and safety, always bearing in mind the arduous conditions that govern life and travel in these vital and challenging regions. Applications for support by the Fund come from people of all backgrounds. The Fund endeavours to increase our knowledge of one of the least known, but most important parts, of our planet, and also to stimulate the lasting qualities of enterprise, endurance and leadership gained in this uniquely arduous environment. 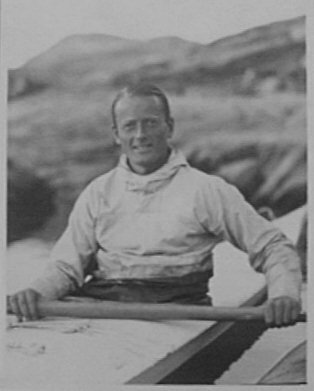 Gino Watkins, an outstanding young man who revolutionised polar exploration, was essentially pursuing these aims in Greenland in 1932, exploring the feasibility of a trans-Arctic air route when he was drowned. Details of how to apply, including an application form, are available. Reports of many of the expeditions can be found on the grants page for the relevant year; some reports are also held in the Institute's Library. The Gino Watkins Fund is a Registered Charity, number 274471.